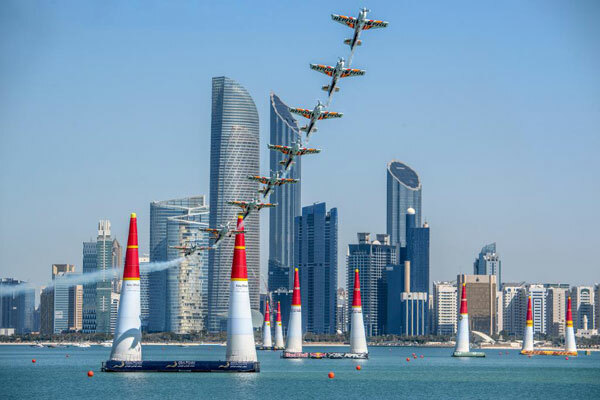 The Red Bull Air Race Demo will make its debut in Damman, Saudi Arabia, from March 21-23, showcasing the Red Bull Air Race World Championship and bringing all the excitement and action of the air racing competition. Two of the Challenger Class Pilots will demonstrate the skills and precision featured in the competition, as they take on a unique racetrack against the clock. Guided by live commentary, spectators in Dammam will witness the pilots flying their race planes at high speed through the iconic Air Gates. The Red Bull Air Race Demo, in partnership with the General Sports Authority, aims to give the expected 20,000 spectators a taste of what the Red Bull Air Race World Championship has to offer and to create excitement for the 2019 season finale that will be held in Saudi Arabia in November. The purpose of the Demo is to showcase the Red Bull Air Race World Championship, bringing the global series into a local environment and providing spectators with a unique opportunity to learn about the Red Bull Air Race. The Demo setup features a special racetrack that sees the pilots fly all the Air Racing manoeuvres performed in the championship. The 25-meter-high yellow air-filled pylons highlight a simplified, straight-line racetrack that the pilots navigate using Edge 540 race planes. The objective is to fly the aerial racetrack in the fastest possible time, incurring as few penalties as possible. During the Red Bull Air Race Demo, pilots will reach speeds of up to 370 km/h while enduring forces of up to 12G.